Ranking football (soccer) teams is usually done using league tables as provided by the organizers of the league. These league tables are designed to yield a total ordering of the teams in order to assign unique ranks to the teams. Hence, the number of levels in the league table equals the number of teams. However, in sports analytics one would be interested in categorizing the teams into a small number of substantially different levels of playing quality. 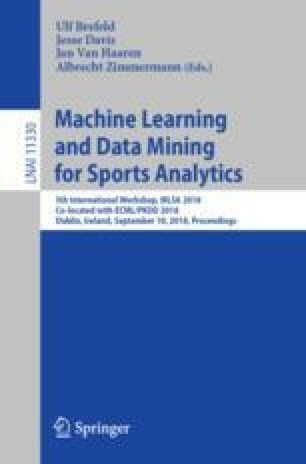 In this paper, our goal is to solve this issue for European football leagues. Our approach is based on a generalized version of agony which was introduced by Gupte et al. (WWW’11). Our experiments yield natural rankings of the teams in four major European football leagues into a small number of interpretable quality levels. Stefan Neumann gratefully acknowledges the financial support from the Doctoral Programme “Vienna Graduate School on Computational Optimization” which is funded by the Austrian Science Fund (FWF, project no. W1260-N35). Kailash Budhathoki is supported by the International Max Planck Research School for Computer Science, Germany.